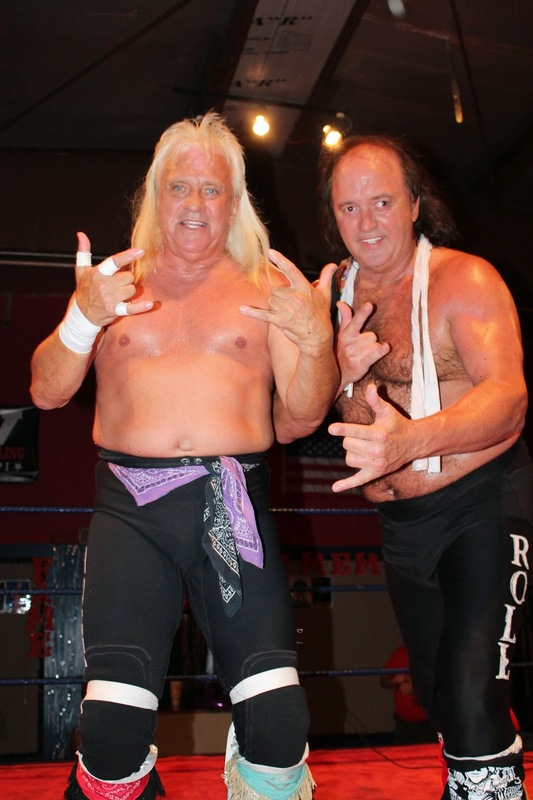 Robert Gibson and Ricky Morton, better known as the Rock and Roll Express were one of the biggest teams in the NWA in the 1980s. And although they did appear in the WWE briefly as part of the “Smokey Mountain Invasion” failure of 1995 and the NWA invasion failure of 1998, they never really had a great run with the last man standing in pro wrestling. Gibson and Morton have held multiple NWA regional, NWA world tag and random tag team champions across the spectrum of indie wrestling. They are also unfortunately one of the many wrestlers who well into their 50s and 60s, just can’t let it go and do something else. WWE does like to induct those bigger name stars who either rarely appeared or never appeared with the WWE. Abdullah the Butcher, Stan Hansen,and even Sting have proved that WWE wants to be seen as the home of all of wrestling’s history. 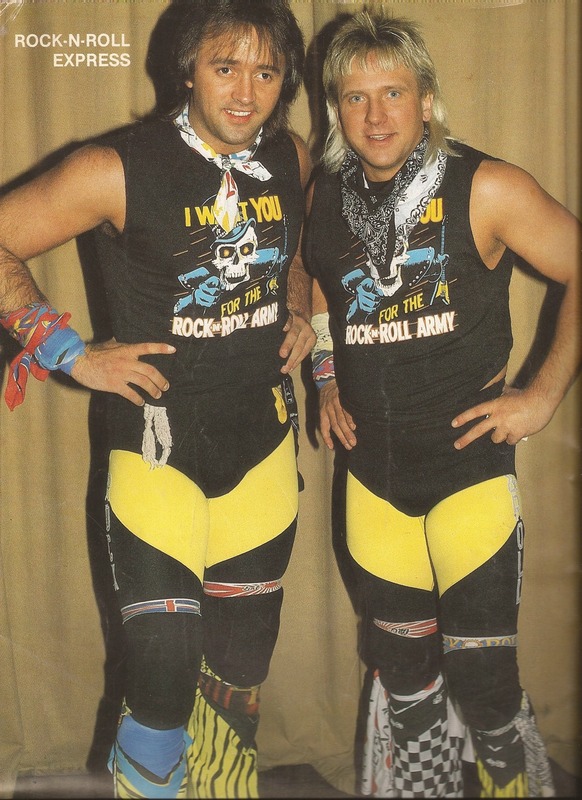 Apart from their embarrassing current “wrestling careers”, the Rock N Roll Express is a welcome addition. 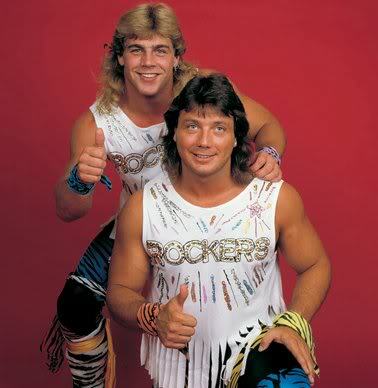 They will always been known as the first rock-n-roll themed tag team, something which was copied over and over again following them. I’m looking at you Rockers. According to multiple sources online, The Glamazon, Beth Phoenix has been “confirmed” for the WWE Hall of Fame Class of 2017 in the “lady wrestler” position, which has become a common occurrence since 2013. WWE has not officially confirmed Phoenix as an inductee, and like Rude, Regal, DDP, IRS, and Natural Disasters, we will have to wait and see who is announced in the upcoming weeks. Beth Phoenix is best known for her time in WWE during 2006-2012. Like many Divas (sorry Women’s wrestlers), their careers are shorter and less involved than their male counterparts. She was a multi time Women’s and Diva’s champion, heading the RAW brand as the lead female athlete for many years in the WWE. While, all of this is well and good, I have one major issue with this induction. It is too soon. Beth Phoenix is 36 years old and she will tie Trish Stratus for the youngest person inducted in the Hall of Fame. With many outstanding female stars waiting on the sides (including deceased Chyna, Luna, Ms. Elizabeth and non dead Molly Holly, Victoria, Ivory, Sable and Bull Nakano.) This is an odd choice and one I can’t really stand behind. What do you think? Is this the right time to induct Beth Phoenix? 2017 rumors are coming out fast and quick. Last week gave us Diamond Dallas Page and Rick Rude as likely inductees in the 2017 Hall of Fame Class. This past Thursday, a much larger group has been added to the rumored list. While alot of these do make sense, and would help finalize a good class, these all only rumors and WWE is going to include an unworthy celebrity and probably a woman to the class as well. So here it is, 4 possible other inductees for WWE Hall of Fame Class of 2017. In a surprise choice, Earthquake and Typhoon, collectively known as the Natural Disasters appear on this list. A one time former World Tag Team Champions, the Disasters ran in the WWF from 1991-1992 only. It is this short time frame which makes the choice so odd. 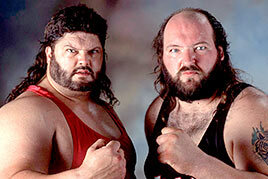 Although Earthquake has a long career in WWF and WCW, Typhoon’s was much shorter, and these two spent more time apart from each other rather than being a tag team. Earthquake had his greatest feud in 1990/1991 with Hulk Hogan and Typhoon’s biggest deal was either as Hogan’s best pal for no reason ,Tugobat or as the mistake of all wrestling mistakes, the Shockmaster. The reason I am okay with this possible induction, is that it the best case scenario to get Earthquake in the Hall (died in 2006 of bladder cancer) as soon as possible. I do believe he would have received an induction singly eventually. This gets him recognized sooner which is good and Typhoon is fine….. Except for this. IRS for Hall of Fame? By itself, the character of IRS is kinda goofy and a real example of what Vince McMahon was doing wrong with his booking between 1991-1995. 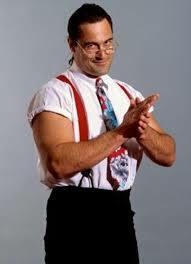 Mike Rotunda (or Rotundo) was a world class athlete, with not only a successful turn with the Varsity Club in WCW, but also a former WWF Tag Team Champion as part of the very American Team, The US Express. The character of IRS was a lower mid card heel, a bizarre tag partner of the Million Dollar Man in Money Inc (Rich man AND a tax man?) and as a lesser important member of the Million Dollar Corp. That was those four years in a nutshell, interesting but not well remembered. Mike belongs in the Hall based on his cumulative career, not just the IRS character. Let’s hope the WWE doesn’t go silly again (like they did with “Razor Ramon” or “Alundra Blayze”) and gives us the full Rotunda or Rotundo or whatever his name is. 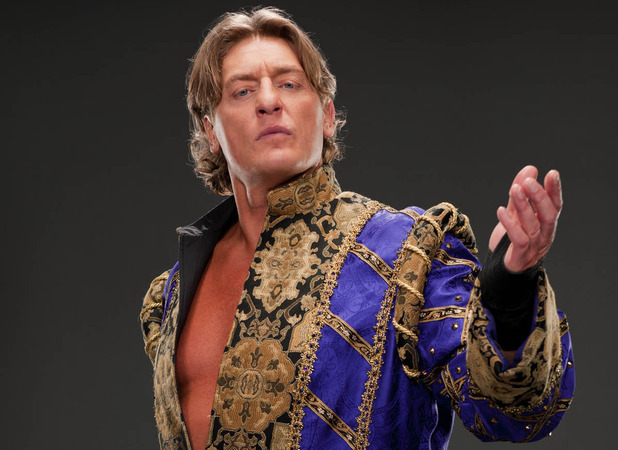 Of the list presented on Thursday, the most likely of the group is this man- William Regal. Regal is one of the best heels in history to never have a World Title. He will join Piper, Dibiase and Orndroff in that “wing” of the Hall of Fame. WWE loves to induct their employees and especially love to reward those who do a good job. Regal is one of the talent scouts, works heavily in Triple H’s NXT and is a confidant of the Game in WWE. It would make sense to reward such a man. That is not to say that he doesn’t deserve the honor. Regal is great. He can play whatever given to him. He can be a straight villain (as in WCW), a snobby semi-cartoon character (during Invasion) a comedy character( with Eugene) or a serious threat (King of the Ring). 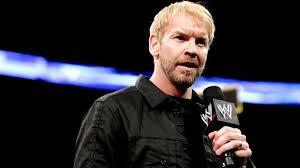 This multi faceted man is an amazing wrestler, and a wonderful talent, plus there is his wonderful pronunciations. There is only one way Christian is joining this Class in 2017. It is if there is no headliner. Of all of our recent discussions of possible names, no headliner has been mentioned recently. Last year, I did an article on possible headliners and gave Goldberg, Daniel Bryan and even the Undertaker as possibilities. At this point, none of those, all active on TV, seem likely. Unless the WWE decides to include the Rock, 2017 will be the first class since 2010 with a headliner. And that will be okay with both DDP and Christian. Both are former multi-time heavyweight champions who are known by the current fan base. Christian’s involvement will also bring Edge back into the fold for his induction. Without a doubt, Christian will eventually be in the Hall of Fame. If its this year is a 50/50 chance. That’s it for today. Are you on board with a class including DDP, Christian , Rick Rude, Natural Disasters, IRS and William Regal?